If you're reading this article, there's a good chance you've considered fortifying your food supplies and beefing up your home security. 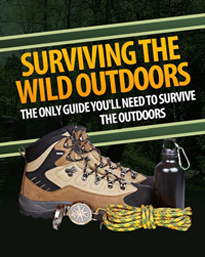 And if you're a serious prepper, you've already done those things in addition to buying a backup generator for when the power cuts out or the aliens finally invade Earth. Usually powered by gasoline, a portable generator can provide electricity where a plugin isn't available (e.g. a tailgate party) or if there's a grid-down situation. However, there are drawbacks. Portable generators give off poisonous carbon monoxide fumes, not to mention noise pollution that can attract unwanted attention (i.e. marauders or the desperate). Too bad there isn't a silent, zero-emission generator that doesn't require fuel to work. Or is there? 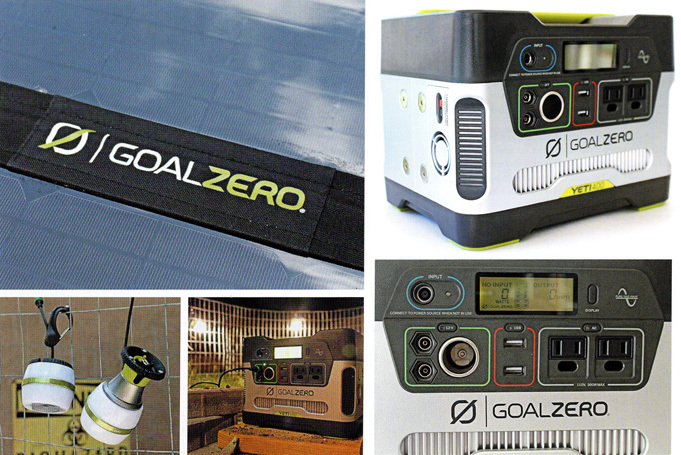 Enter Goal Zero, an industry leader in sun-powered illumination solutions. The Yeti 400 is the middle of three tiers in the company's lineup of solar-powered generators, and we recently got hands on with it to see how effective it'd be at providing juice from a prepper's point of view. 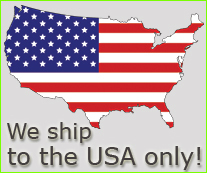 In the heart of the beast lies a 12-volt, 33-amp/hour sealed lead-acid AGM battery. Developed for military aircraft where weight and safety were important, an Absorbed Glass Mat (AGM) battery contains a thin fiberglass mat, sandwiched between plates and saturated with battery acid. The mat and plates are slightly compressed, then welded in place. AGM has very low internal resistance, is capable of delivering high currents on demand, and offers a relatively long service life - even when deep cycled. AGM batteries are maintenance free, reliable, and lighter than the flooded lead-acid type. Goal Zero suggests that it remain connected to a power source when in storage and then nearly drained every three to four months. The Yeti can receive power from three input sources: a 110-volt wall adapter, a 12-volt car charger, and the 8mm plug ported to a solar array. 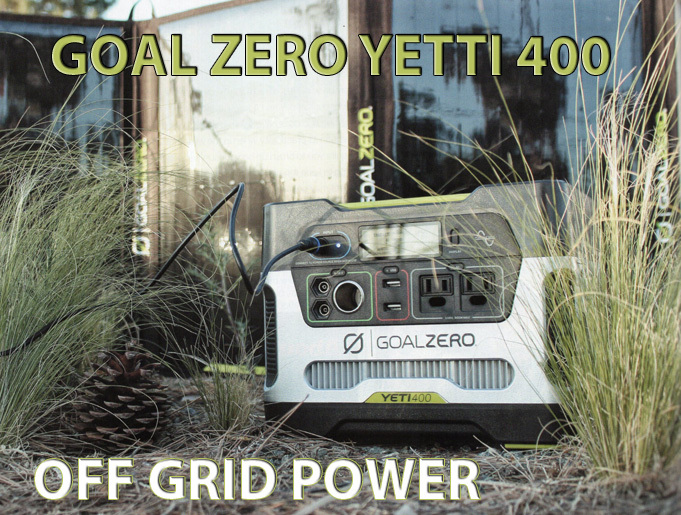 When fully charged (it took a little over five hours to fully charge out of the box), the Yeti has a power capacity of 400-watt hours, meaning it can theoretically power anything from a 4-watt device for 100 hours to a 400-watt device for one hour, without taking into account power lost to the inverter or other system limitations. For example, it took 2 watts of output 16 minutes to charge an iPhone 6S from 88 to 100 percent. The Yeti is also designed to be chained together with other 12-volt batteries. It won't increase the wattage, but it'll increase the runtime. The output ports are plentiful: 12-volt cigarette lighter-style port, two 1.5-amp USB ports, two 12-volt. 10-amp 6mm ports, and two 110-volt AC ports. After plugging in a device, push the associated button for that output port and the display comes to life. It'll show you exactly how many amps are being used. The one-button display (backlit for nighttime) is simple to use. There's an indicator for input, one for output, and a battery diagram that displays remaining power. Construction of the Yeti is straightforward, but strong. Basically, it's a car battery with a tough carrying case and inverters for the output. It feels and looks like it can take a beating and still function. There are no buttons to break off, though the LED display could easily find a sharp rock if it tipped over. The handle is robust and sturdy and recesses into the top. and wide rubber feet keep it from sliding on smooth surfaces. Each corner has a slight indent for lifting the unit. Replacing the battery (which averages a four-year life span) is easy via the four Torx screws on the top. The best feature is that it's so simple to use. Breeze through the directions, then just plug it into the wall, charge it up, and start using it. When the Yeti begins to beep or when the display reads around 20 percent left, plug it in again. It'll provide you with hundreds of life cycles. As long as you don't exceed the limits of the unit, you can plug in and power as many things as there are ports to do so. A note of warning: Don't leave the AC button switched on if you're not using it because the inverter draws 5 watts when idle. Sitting next to the unit as it silently powered our gear, we realized it's a misnomer to call it a generator because it doesn't actually generate power by itself. Instead, it converts and stores power much more like a fancy battery. Without a source of electricity to replenish what has been used - whether solar or 110 volts from the wall - it would become useful as a doorstopper and not much else. If you're going to get stuck out in the middle of nowhere, make sure to be stuck with solar panels or a really, really long extension cord. Need to power up your laptop? You've got only about 20 hours of use (three or four charges on a 50-watt/hour device). But this is no flashlight battery. At 29 pounds, it's hefty, and you're not going to tuck it into the pocket of your pack and whip it out whenever your iPad goes dead. 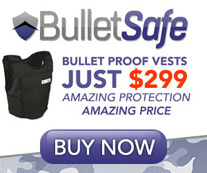 This sits in a closet of a cabin in the woods or in the trunk of your get-out-of-Dodge vehicle. 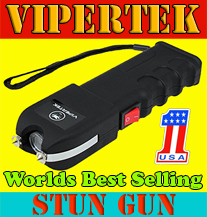 This is a dedicated survival/adventure tool to provide power when you need it. Best used for camping, emergencies. disasters, and those times when the local utility surprises you with rolling blackouts. Sold separately is the Nomad 100. a four-panel solar array that's a plug-and-play unit, compatible with the 8 m m input port on the Yeti. The Nomad 100, which can collect 100 watts of power on a bright, sunny day. will take about 12 hours to fully charge the Yeti. The supplied 8 feet of cable means you have to keep the Yeti and the Nomad in close company the whole time - not ideal in foul weather. Not to mention keeping the Nomad properly aimed at the sun for optimal charging. A downside of the Nomad, despite its canvas cover and the loops for securing it (or hanging it), the flap doesn't snap closed, and there's no carrying handle. Also sold separately is the Light-A-Life 350 LED light, named for its 350 lumens of light. It can be converted from a spotlight to a lantern, has a built-in carabiner so it's easy to hang, and has impressive reach with its 8-foot cable. Most importantly, you can chain eight of these lights together, and they only use 4.5 watts each (on high mode). These are bright and energy-efficient. By itself, the Yeti 400 is only useful as a temporary solution to your electronic problems. It needs to be renewed, and there's no point in dragging it along if you don't also bring a source of power (solar panels, etc.). There are plenty of other more portable solar-related devices that can charge your smartphone or tablet if you're on the move. This large power bank is best reserved for those items in your kit that can't easily be powered or for when you're hunkered down with no ambition to bug out - think blackouts or civil unrest. Aside for bugging in. the Yeti 400 is ideal for adventures where electricity might be spotty or scarce, such on campgrounds. during an RV road trip, or while cruising on your boat. Depending on the gear you have and their watt/hours requirements, you've got 400 watt/hours to spread around, so do it wisely. And if you lost or forgot the solar panel, well, you could always use this generator as an anchor.